Panasonic’s software assists automatic tracking of a person shot by a Panasonic Remote Camera. 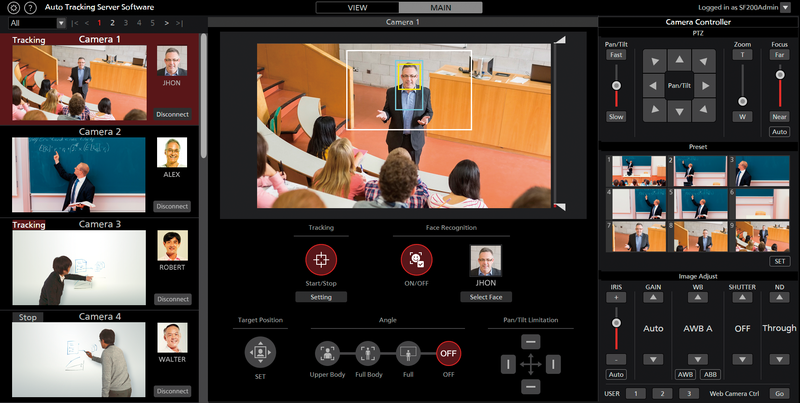 With the ability to track a single person, this software is well suited to such environments as education and video conferencing. With a PC connected to the same network as your camera system, the software automatically detects a person in front of a PTZ camera and makes the camera follow that person to allow for easier control operations. The use of "motion detection" technology makes it possible to track the subject with minimum tracking error regardless of where the person is facing. This allows to keep the lecturer tracked even when he/she is writing on a blackboard showing their back to the camera. The sensitivity of the tracking function can be adjusted to the amount of movement of the tracked target, increasing accuracy further. You are given the option to select either a full, full body or upper body view of the tracked target when setting up. In addition to this, the auto-tracking software also includes the option to mask specified areas of the camera view to ensure that surrounding objects are not accidentally or unnecessarily detected. It is also possible to completely exclude an entire area to minimise the space that is tracked. It is also very simple to set up a low-cost tracking system by installing the auto-tracking Software onto a PC and connecting to an integrated camera. AW-UE70, AW-HE40 and AW-HE130 cameras are all supported. New installation of sensors and other equipment are not necessary. AW-SF200G is chargeable software. Panasonic offers a 30-day trial period, during which customers can use it for free. After the trial period has expired, it must be activated by means of a key code (license) that customer can purchase from any Panasonic dealer. tracking error, regardless of the direction the person is facing. The auto-tracking settings can be easily made with an intuitive GUI, showing only the necessary icons to minimize labor and assist smooth operation. Tracking adjustment tools, such as masking, limiters, tracking disable zone and sensitivity level adjustment, are also available. 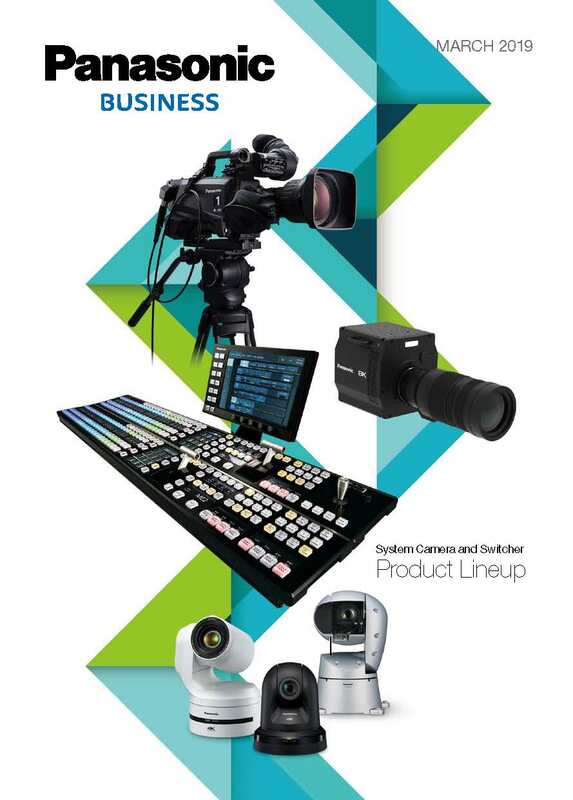 Adoption of IP-based software brings system flexibility and provides IP connection (IP streaming/IP control), installation/operation of camera in classroom or remote location. new devices do not need to be added, the initial cost can be reduced. You can choose to use AW-SF100 as a Web application, so it also supports control from a tablet, smartphone, desktop PC, etc. Providing centralized control of multiple cameras, AW-SF200 uses a floating license for flexible operations matched to the user environment.